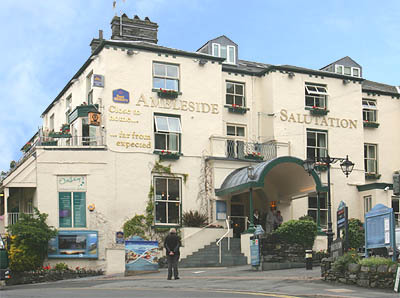 Set in the heart of the Lake District, amid dramatic fells and picturesque valleys you will find the Ambleside Salutation Hotel & Spa. Enjoying a village centre location and boasting breath taking views, this Lakeland hotel accommodation is ideal for a weekend getaway, midweek break, conference, family get togethers, delicious dinning out or even a Christmas Party! 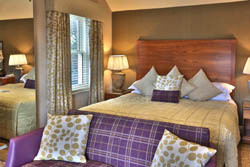 We offer 54 superbly appointed ensuite rooms some with private hot tubs. 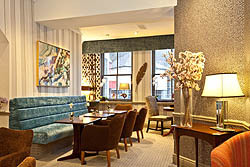 Other facilities in the rooms include an in room refreshment tray, hairdryer, free Wi-Fi, flat screen TV, room service our Lakeland rooms have Nespresso coffee machines and a fridge. 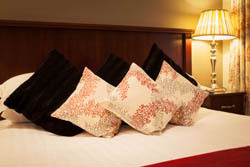 We offer 53 superbly appointed en suite bedrooms. All rooms have en-suite facilities with bath and power shower, and many with the added luxury of a Spa bath. Other facilities include television with digital channels, a welcome refreshment tray, free wi-fi, direct dial telephone, hairdryer and trouser press. 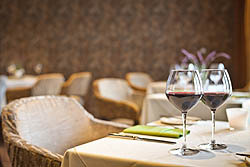 Our Brasserie and Lounge bar is open to both residents and none residents alike for lunch and evening meals and superb traditional Sunday Lunches. 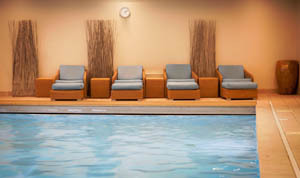 The hotel also features a health Club and Spa with state of the art Techno Gym equipment , indoor pool, steam, sauna, ice fountain, and fantastic outdoor fountain Spa, or treat yourself to an indulgent pamper experience in the hotel Spa. Try our Swim Sundays or Dinner & Dip, simply book lunch or dinner and use our luxurious leisure facilities free of charge (pre booking advisable).